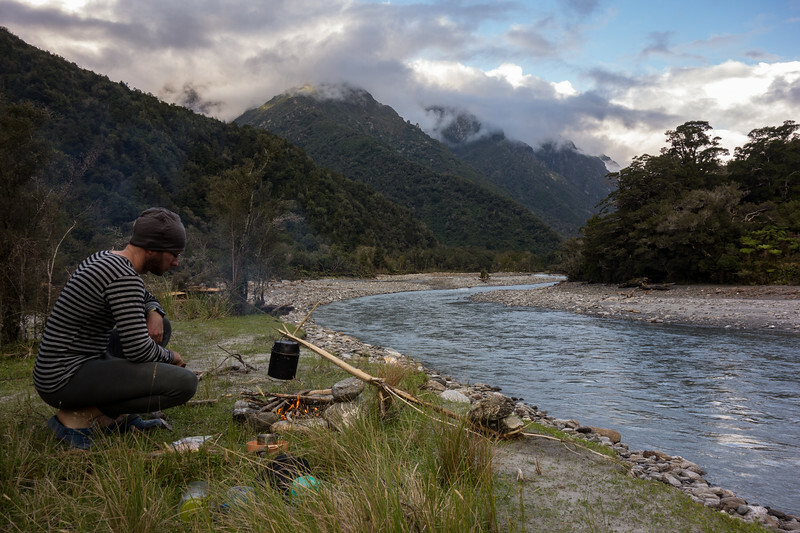 First night in the Mahitahi below Stratford Creek. The grass in this photo is just about all that is left of the grassy flats here after ex-tropical cyclone Fehi caused extensive flooding a couple of days earlier. We were lucky to make it here that day as the road south of Franz was closed until almost lunchtime due to slips.